Was $145.00 Now on Sale with 15% off for $123.25 You can always place an order for a Nativity Scene and it will be different to this particular mola, you can request deep red or black background. This lovely piece of ethnic Textile Art was entirely handsewn by a Kuna Indian Mola Maker on the San Island Kuna Yala, Panama. My picture do not show the complete scene, so please e-mail me if you want additional pictures. Thanks. 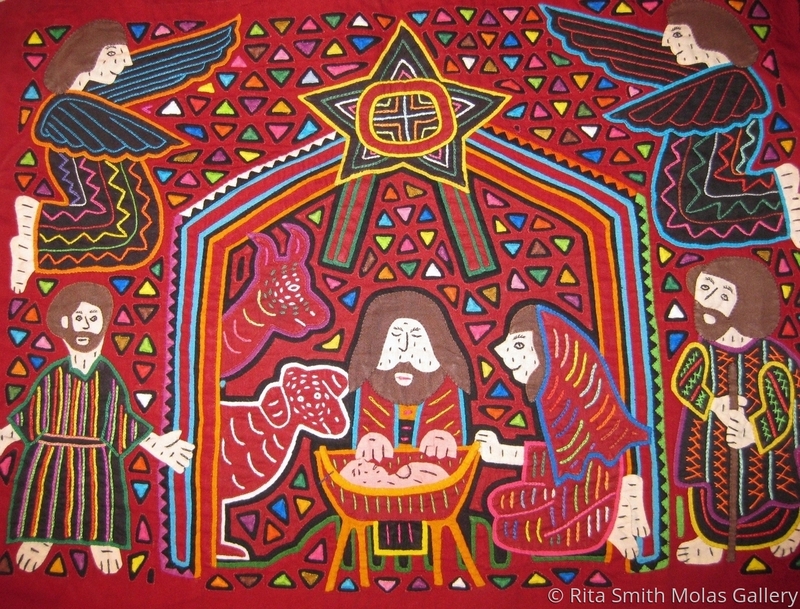 Nativity Scene, Size 16" x 13" in a red background, 3 layers of fabric. This exquisite piece is authentic and genuine. Molas are unique and the most beautiful hand made art that you will love to treasure forever.